At SISBIYOTEK Genomewide SNP and expression analyses are conducted on Affymetrix GeneChip platform. SISBIYOTEK is equipped with Affymetrix GeneChip Microarray System. Our unit gives genomewide expression profiling service. The Affymetrix GeneChip Microarray System has the following expression arrays for different organisms. The amount, integrity and purity of RNA samples are crucial for the quality, reliability and robustness of expression profiling studies. That is why our unit will rely on Agilent Bioanalyzer results for the evaluation of RNA samples. RNA samples evaluated as pure, intact based on Agilent Bioanalyzer results will be processed. RNA samples submitted to our unit should be a total of 5-20mg, A260/A280 should be between 1.9-2.1 and A260/A230 should be between 2-2.5. For plant RNA samples A260/A280 ratio should be between 2-2. For procaryotic samples 10mg RNA should be submitted. For samples submitted in lesser amount two cycle cRNA synthesis which is subject to additional fee should be performed. RNA samples should be brought to our unit on dry ice. If needed, quality and quantity evaluation of RNA samples on Bioanalyzer can be performed in our unit. Our unit can be consulted on RNA isolation methods. RNA isolation method should include a DNase treatment step. 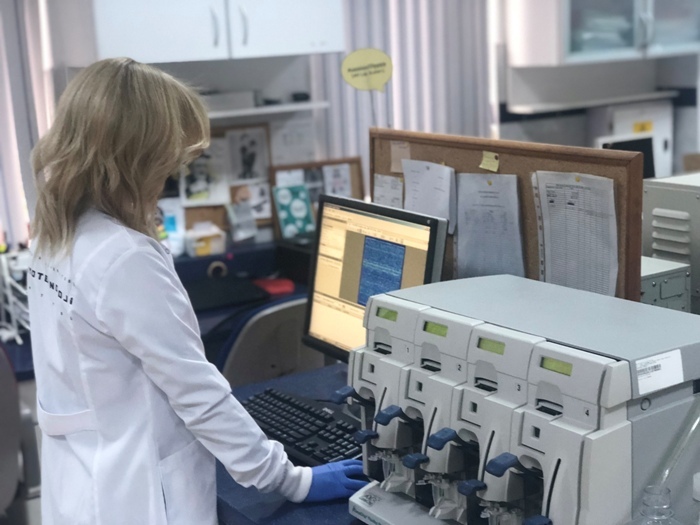 Those who prepare cRNA samples, labeling and fragmentation reactions in their lab can ask SISBIYOTEK to run hybridisation and scanning processes. In this case our unit requests the spectrophotometric reading of cRNA samples and agarose gel electrophoresis of fragmented cRNA samples. RNA sample should be submitted on dry ice. The sample information and analysis results will be processed with confidentiality. Samples which do not comply with the quality and quantity requirements will not be accepted for analysis. Cel files preprocessed with RMA algorithm and array quality control analysis results will be delivered to the customer via email or post (hard or digital copy on CD) in two weeks depending on the sample number. Detailed bioinformatic and biostatistical analysis can be offered subject to additional fee or in the case of granted authorship of scientific paper by our institute Bioinformatic unit. These analysis results will take another two weeks for delivery. Large-scale linkage analysis, association, and copy number studies at a greater throughput and at a lower cost per data point can be performed on GeneChip® Mapping Arrays. With Affymetrix SNP 6.0 GeneChip Arrays it is possible to genotype 1.8 million markers in one sample in a single hybridization. For each hybridisation 250 ng DNA is necessary. DNA samples should be at in 50 ng/ml concentration. DNA sample should be either in deionized water or in TE (max EDTA concentration 0.1 mM). Higher concentration of EDTA can inhibit downstream reactions. Agarose gel profile and spectrophotometric reading printouts of the DNA samples should be submitted along with the sample. Those who prepare PCR products, labeling and fragmentation reactions in their lab can ask the SISBIYOTEK to run hybridisation and scanning processes. In this case our unit requests the spectrophotometric reading of PCR products and agarose gel electrophoresis of fragmented PCR products. Image of DNA sample on a 2% agarose gel and spectrophotometric reading (concentration, A260/A280 and A260/A230 ratios) should be included with the DNA sample submitted for analysis. 500 ng of DNA sample should be at a concentration of 50 ng/ml. The results will be delivered to the customer via email or post (hard or digital copy on CD) in two weeks depending on the sample number.